When I first developed an interest in cocktails, the global gin selection was limited to the classics and a few smaller brands that were impossible to find anywhere. Over the last two decades, however, the gin market (as well as nearly every other spirit) has exploded. I used to collect gins but it became ridiculous and impossible to keep up. It’s for that reason that I barely ever purchase or try new gins; it’s just too overwhelming. I know what I like and that’s that. 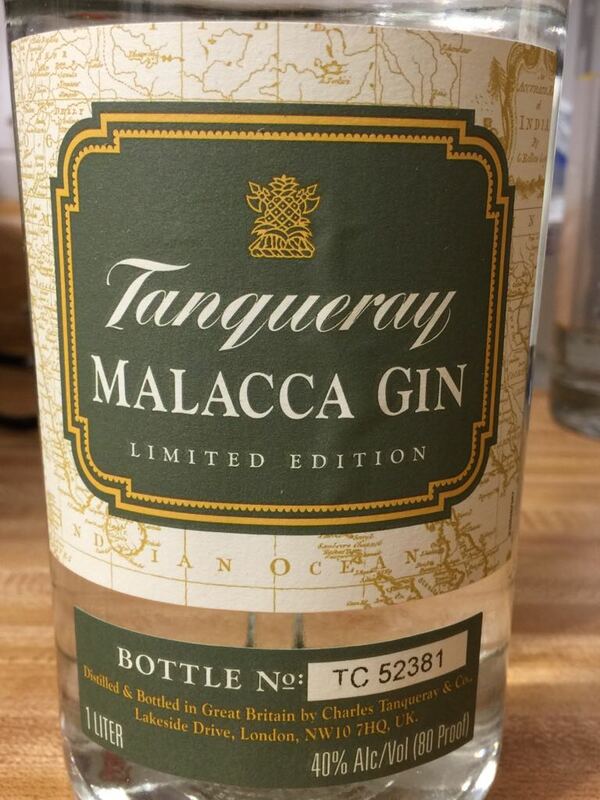 But, I’m a sucker for a fancy label, and couldn’t help myself when Tanqueray reissued its very popular Malacca gin. I gave it a whirl, so to speak. Anyway, I obviously wouldn’t be writing all of this if I wasn’t hugely impressed, so much so I think it may become one of my staple gins for martinis, which is saying a ton about the product. The flavour profile is citrus and black pepper (hence the name), and very different from Tanqueray’s normal offerings. For detailed tasting notes, check out The Gin is Gin review. I was blown away when I first tried it in the martini, as I’m rarely impressed anymore. The release has been wide, and it’s presently available as stock at the LCBO. So, if you like gin and want something new, affordable and impressive, give Malacca a try.